University of Alberta neuroscientists have identified the neural circuit that may underlay intelligence in birds, according to a new study. The discovery is an example of convergent evolution between the brains of birds and primates, with the potential to provide insight into the neural basis of human intelligence. Birds have very small pontine nuclei. Instead, they have a similar structure called the medial spiriform nucleus (SpM) that has similar connectivity. Located in a different part of the brain, the SpM does the same thing as the pontine nuclei, circulating information between the cortex and the cerebellum. « This loop between the cortex and the cerebellum is important for the planning and execution of sophisticated behaviours, » said Doug Wylie, professor of psychology and co-author on the new study. 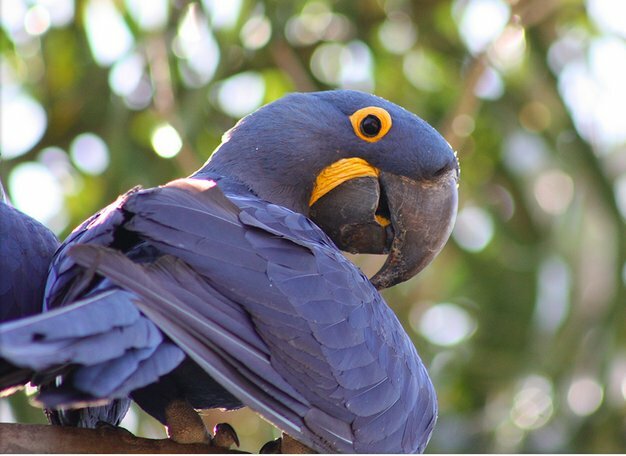 Using samples from 98 birds from the largest collection of bird brains in the world, including everything from chickens and waterfowl to parrots and owls, the scientists studied the brains of birds, comparing the relative size of the SpM to the rest of the brain. They determined that parrots have a SpM that is much larger than that of other birds.